So as a poor example, I used the ancient Fortran 5.1 to build up an OS/2 1.x VIO executable of dungeon, which would run happily on NT 3.1, but of course will not run on XP as they have removed the OS/2 subsystem. Anyways it’s impossible to run the exe on dos, but fishing around I came across my old Visual C++ 1.5 CD, and on there was the Phar lap 286 dos extender. And one of the neat things it could do, was run simple OS/2 applications under MS-DOS! So I bound the exe and now it’d run under MS-DOS. However, since it’s a trial version, it’s limited to 2MB of ram, and you can’t redistribute the resulting exe. Now this is where HX DOS Extender (archive.org mirror/sourceforge mirror) comes in. Over the years, the HX dos extender has provided the functionality of the old Phar lap TNT dos extender by allowing you to run Win32 exe’s under MS-DOS, and it provides a pretty impressive subset of the Win32 api on MS-DOS. So taking this lead, HX now has a 16 bit 286 centric version that provides a basic OS/2 emulation layer. 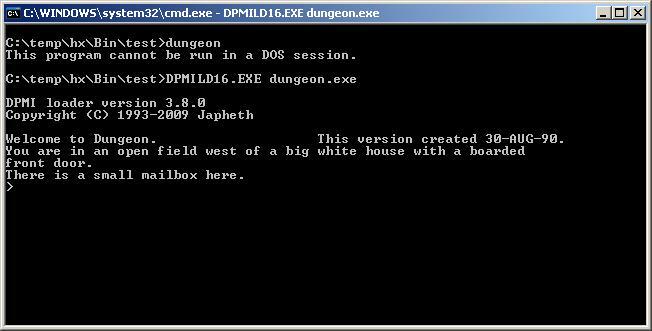 So by simply passing the OS/2 exe as a parameter to the DPMI loader (I haven’t quite worked out the stub syntax…) you can run the OS/2 build of dungeon under MS-DOS! For anyone stuck with either legacy 16bit tools, or a need to support ancient systems, it’s certainly nicer with OS/2 as you have access to a LOT more memory! According to the documentation the HX extender should work nicely with the OpenWatcom Fortran & C, although I currently haven’t tested it. What’s kind of interesting is that HX doesn’t work under DOSBox, while the Phar Lap 286 DOS Extender will…. Both of these dos extenders build on the old idea of the “Family API” where common API’s between OS/2 and MS-DOS could be mapped between the two OS’s, and a common “bound” executable could then run in either environment. 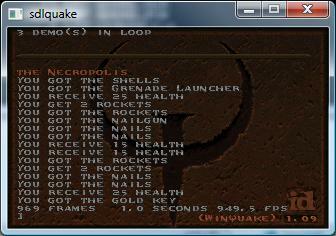 However on the MS-DOS side, it’d be subject to the memory constraints of a realmode MS-DOS executable. The DOS extenders build on this idea, but provide access to additional memory, and a more feature rich OS/2 api. This is going to be.. involved to do… But there is some hope. The source to X11 R5 is still online, even though the xfree86-1.2 stuff is long gone. 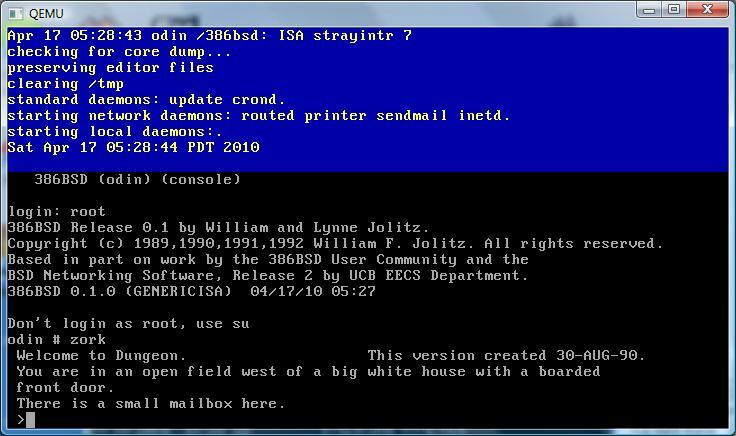 I was able to find a binary 2 bit Xserver for 386BSD, so that’s promising. So my hope would now lay in making up a configuration file that’ll satisfy the Xfree86 1.2 server, and build enough of X11R5 to where it’s able to do something…. In the meantime, you can check out Neils Horn’s blog, with an example of what Xfree86 1.x was capable of on 0.96 linux.. Back in the day. Well I was looking for a way to move data out of the 386BSD vm without too much pain, and I’ve just been hitting this brick wall about trying to compile apache. You see the thing is, 386BSD is so old, it doesn’t have dynamic libraries, and a uname command so you have to ‘fool’ the configure scripts, and even then if you do manage to get an executable it’ll just crash… For some reason gdb couldn’t help with the whole thing… very annoying. I think it may be a program size limit..? Either way, I’m sure it was ‘fixed’ in NetBSD 0.8 .. So after googling around the ancient news groups, I came across this post..
NCSA httpd 1.1/1.2/1.3 compile straight (well almost) out of the box. I’ve not tried the CERN one yet. I’m happy with my NCSA 1.3. Well, now that’s interesting… Remember that NCSA gave us Mosaic, but they also gave us httpd, which apache is based on. However NCSA no longer hosts the httpd source code… It’s gone with the wind…. Except for this Slackware mirror. So after downloading it, and building, naturally…. it crashed. However this time I was able to fire up GDB, and see that it was crashing in the mime initialization… It seems it was using a null pointer… So for the heck of it, I changed the hash macro to use the 2nd definition, and it worked!! I figured, I’d make a package for the windows crowd. So many editions! !… I’m already confused. I think this is the last version to support the Itanium, as that platform is basically cooked.  Considering how lackluster and scarce they were at the launch I guess it’s not surprising. Anyways, there is some details over at the MSDN site.. And a demo/eval download. On the ‘cheap’ front, the express editions are also updated to the 2010 level. I’d recommend getting the ‘offline’ ISO image… That way you’ve got all the bits in one shot. On the UNIX front, I found that on OpenSolaris, that the SunStudio is a free download. This includes SUN’s C/C++/Fortran (77/90/95) compilers. I took a quick look at the SUN F77 compiler, and it’s certainly the UNIX one from the days of v7 as it behaves the same way… I guess that’s not too surprising. Other then that, not a heck of a lot going on. 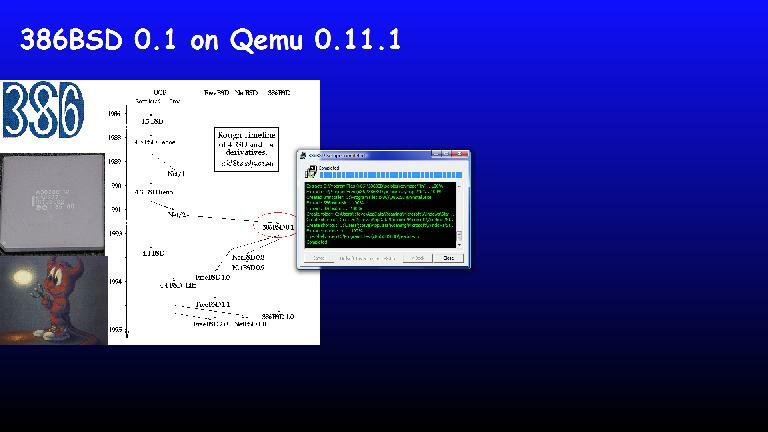 Author neozeedPosted on April 11, 2010 Categories cdroms, qemu, sparc8 Comments on More CDROM madness. Qemu Sparc snapshot getting better! Thanks to Artyom Tarasenko‘s tireless work on the Sparc MMU, DMA, SCSI It’s not possible to install some versions of Solaris, and boot others to single user mode! Heck, even the NeXTSTEP 3.3 boot program goes ahead and loads up.. Which setup a serial port console you can just telnet into (for us Windows users). Sadly my SunOS cd doesn’t seem to want to boot, and I somehow saved a copy of Solaris 8, but not 6..? Sigh. Which is all cool. And check the CPU, 1070Mhz! Don’t we all wish we had SPARC’s that fast! I’ve even managed to install OpenBSD/Sparc! … But it crashed on booting. Anyways it’s late, and thats it for now. 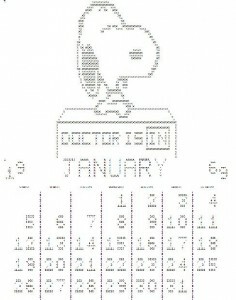 Author neozeedPosted on April 10, 2010 Categories OpenBSD, qemu, solaris, sparc19 Comments on Qemu Sparc snapshot getting better! 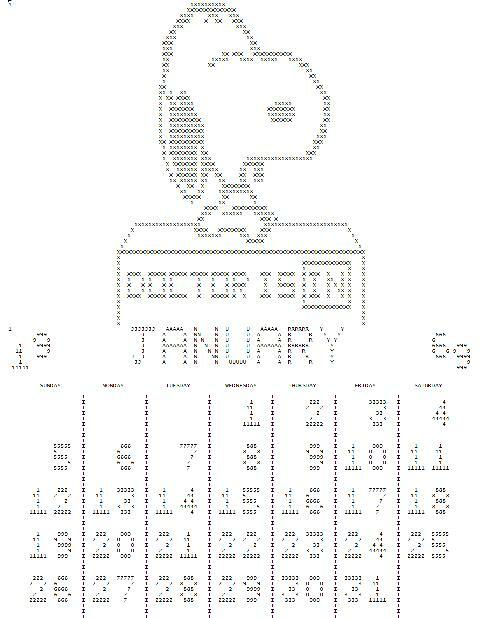 Author neozeedPosted on April 7, 2010 July 29, 2014 Categories Fortran, snoopy calendar2 Comments on The real programmer’s Snoopy Calendar.